Purpose: Use this document as a reference for viewing an employee’s job summary in ctcLink. 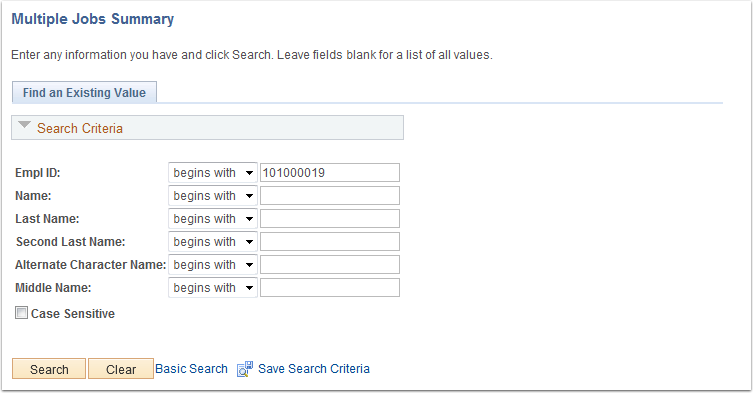 Enter the employee ID into the Empl ID field then click the Search button. Use the Multiple Job Summary page to view a summary of all jobs and changes in employment status. Click the expand tab to see all tab information.